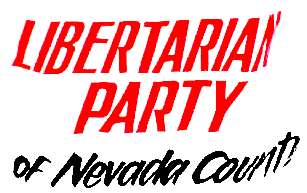 Banner for the Nevada County Libertarian Party, the closest thing found to a logo, adjusted from a small lossy JPEG. It wasn't exactly flat in the photo. This page was last edited on 20 August 2011, at 05:50.